Yes folks, the weather forecast got it wrong. Whilst not as bad as yesterday, we got caught in several heavy showers. We managed to get round the stalls and rides at the Big Lunch, sat watching the Tai Chi demo when the heavens opened, hailstones, rain, we managed to get Rufus into his buggy and covered over before he got soaked, not so us. It was such a shame, we sheltered for a while then decided to call it a day. By the time we got back into town Rufus was asleep so we crept into Cafe Nero for a hot drink and a cake. Peter was feeling sick on the teacups! 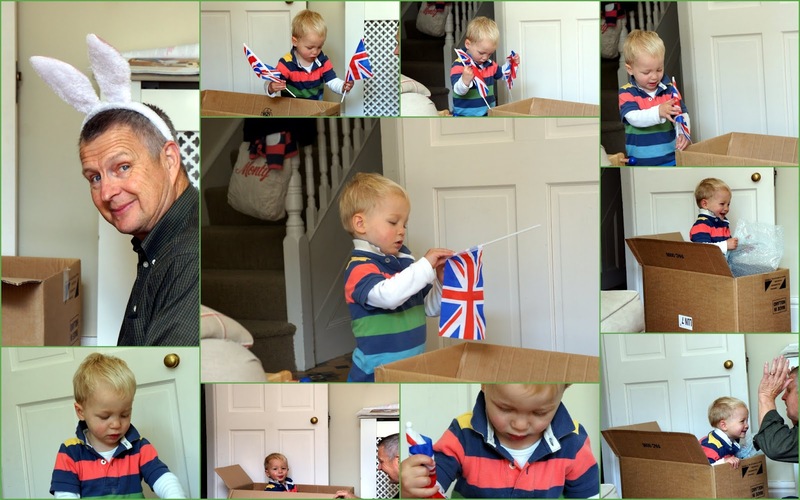 Rufus and Peter spent the rest of the afternoon playing with a cardboard box, me ironing, his parents painting his new bedroom. The ears, well I just couldn't resist.... he will kill me!! I was watching the weather earlier this morning and thinking what a shame for all the festivities. It sounds like quite a big to-do. I can't even think of anything in the states that would be remotely similar. Such a fun day you had! I love the photos as always! o my goodness, those pics of Rufus and Peter are too cute. How fun! Pity about the rain but playing with the cardboard boxes looked great fun. It's such a shame when people spend their time planning a fun community event and the weather ruins it. 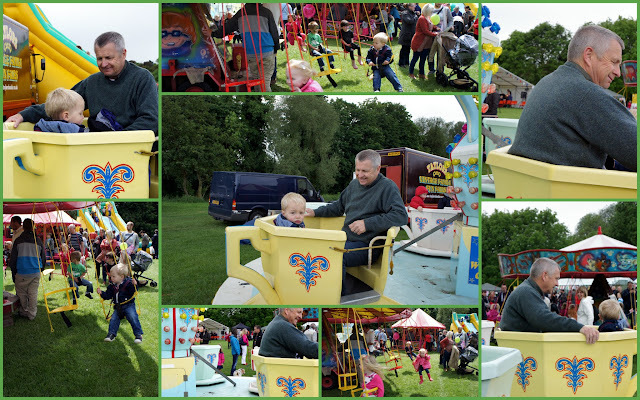 Had the sun been shining the Big Lunch looks as though it was the ideal family event.